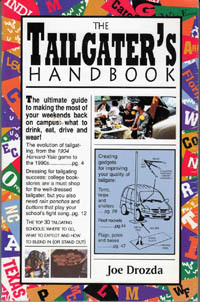 Although most items for tailgating are from Coleman, remember that we only recommend the BEST! These items are available in most retail, catalog and internet outlets. New Grill - The latest improvement from Coleman is available for all suppliers like LL Bean, Cabella's and Coleman themselves. It's the NXT 300. Under $250. New Chairs - Don't sink down into those low slung bag chairs anymore. 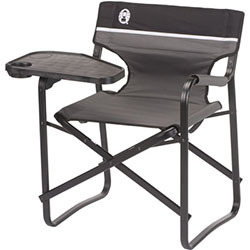 These canvas deck chairs sit yopu up and have swivel tables for food and drink. Coleman makes them and they are available at retail stores everywhere for less than $60. Flag Pole - This telescoping flag pole (like mine in the photo) folds to 7 feet to fit into your car. You drive your car onto its stand so that a wind that can't blow over your car, can't blow over your flag paole and stand. It's from the Flagpolecompany.com. Its a great product but prices vary. Call 800-805-9728. Coffee Pot - Why mess with a thermos when you can brew great fresh coffee easily at the morning tailgate. 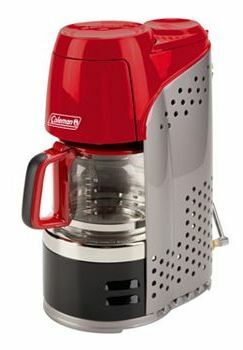 This 10 cup Coleman propane model is not cheap at $80, but it's worth it for those Noon starts. It makes grate coffee and is available everywhere. 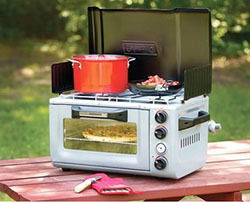 Oven with burners - Under $300, this Coleman oven and stove with two gas burners makes your tailgate site a little kitchen. Imagine a breakfast cassarole inside the oven or fresh biscuits. Then on top the stove is a skillet of bacon/sausage/eggs and one or hash browns, Yum! These are on sale all over the internet now! 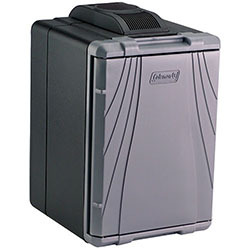 Plug-in cooler/heater - Don't try to heat cold chili at a cold tailgate. 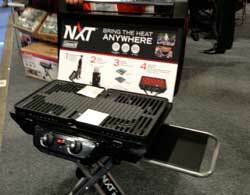 You can bring it to the game piping hot with the thermal cooler/heater from Coleman. You can cool items too, just not at the same time. It plugs in to a wall socket or cigarette lighter. People have it on sale for under $130. Click here to start a conversition about web design for business.